4.5 months in, and this is what my collection has grown to. Who can resist at $2 a bottle?! 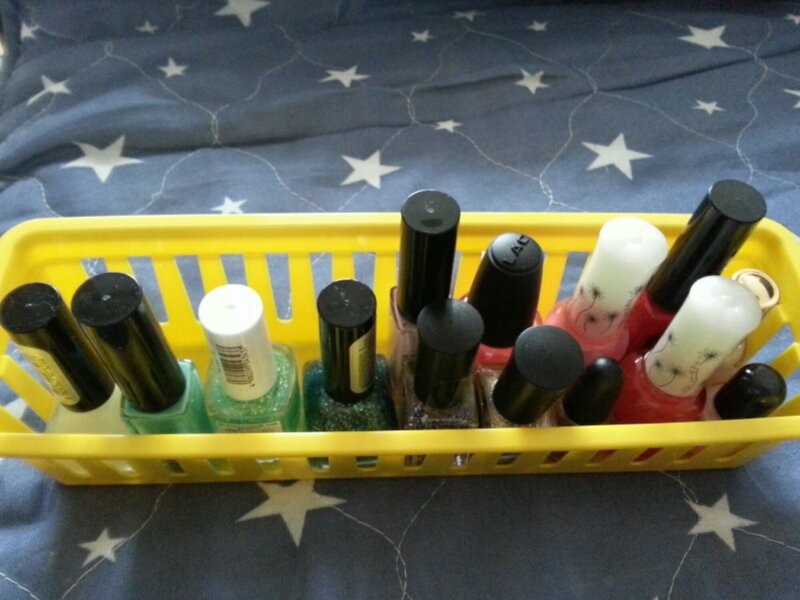 Far left is a glow-in-the-dark top coat. Awwww yeah! why do you wanna coat that glows inna dark ?